Who doesn’t love playdough? Making playdough together is an activity in itself – your child will enjoy mixing and squishing to make the dough! Kids of all ages have fun getting involved to make it and it’s a great activity to do at home or at playgroup. 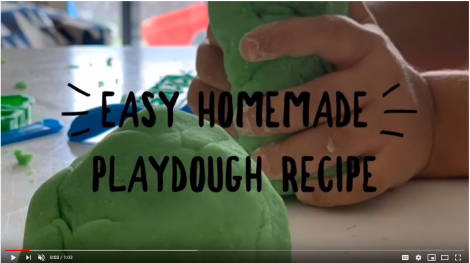 We always get requests to share our super easy playdough recipe so watch the video or continue below for our instructions. The playdough will keep really well in an airtight container for months to enjoy!